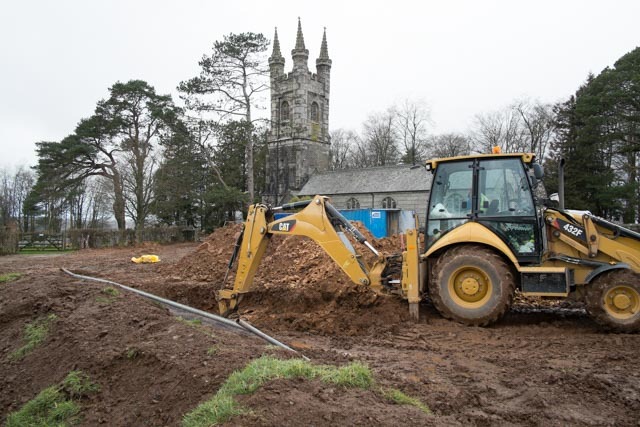 The work at St Mary’s Walkhampton is due to be completed by 10th March. The drainage work is being backfilled and then the car park will be reinstated. Only the etching of the glass screen is awaited. This part of the contract has now been placed and the glass etcher has apparently returned from the Middle East where he has been working on some palace! I hope St Mary’s is not too much of a come down!